The letter Q! An O with a tail! My literary association with this letter comes from renowned children’s author Beverly Cleary‘s character, Ramona Quimby. In Ramona the Brave, our intrepid heroine enters first grade, and daring to be different, writes her last initial as a little kitty drawing. If you’ve never read these charming stories, please do. They realistically depict family life through the eyes of a spunky little girl. Author of the Henry Huggins series, The Mouse and the Motorcycle and Dear Mr. Henshaw, Cleary is one of the most beloved children’s writers ever. 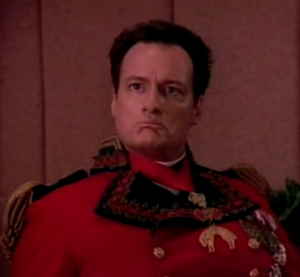 And who could forget John de Lancie’s omnipotent, immortal character Q on Star Trek: The Next Generation, who annoyed Captain Picard on a regular basis? 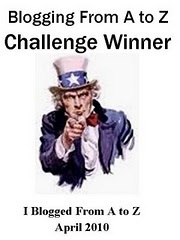 This will be a short list, since Q doesn’t go with many other consonants and few vowels in English except U. Onward! Qat (kaht) – Catha edulis, a plant native to Africa and the Arabian peninsula that has narcotic leaves. 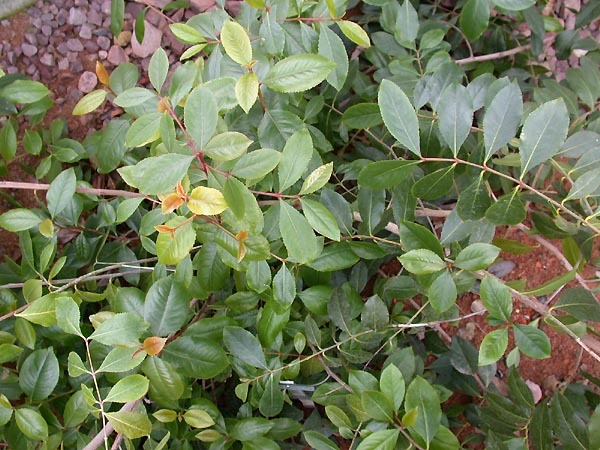 Qat—also khat or gat—can be chewed or made into tea. It’s a controlled substance in the U.S., so don’t go looking for it. Betcha legendary wild food dude Euell Gibbons never tried this. Qiviute (kiv-ee-ute) – Inuit. 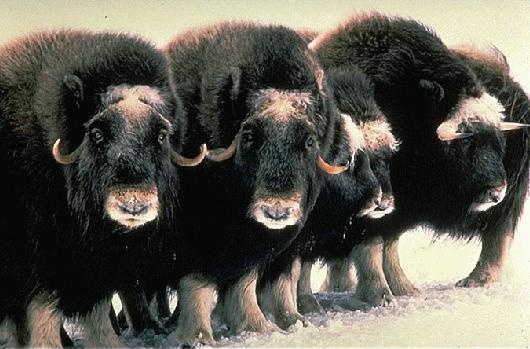 The wooly undercoat of the musk ox. Yarn made from this substance is EXPENSIVE. As I just learned to knit, this is relative to my interests, though not necessarily my pocketbook. Quahog (KO-hog) – Native American, Narragansett tribe. Everyone who watches Family Guy knows this one. It’s the name of the city the Griffins live in, but it’s also a hard shell clam found around the eastern U.S. shores. Quaver – to shake or quiver, or to speak in a trembling voice. Quelch – to squash, squelch. Buffy and Angel successfully quelched the demon uprising while managing to keep their hair perfect. The very definition of the word. Quinsy – an old word for a swollen, pustular abscess in the throat, a complication of tonsillitis. 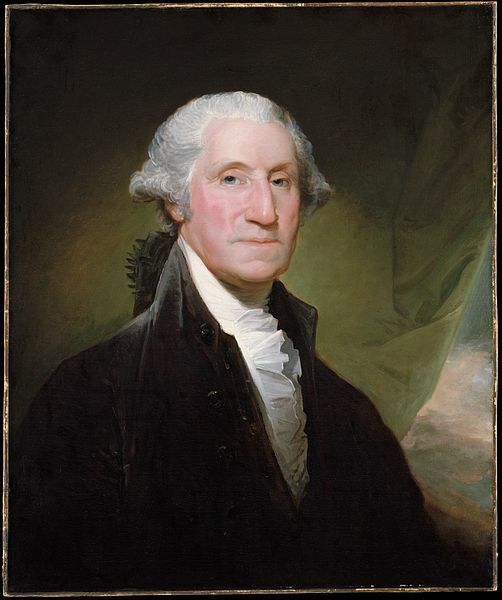 It’s thought to be George Washington’s last illness. Tonsillitis doesn’t sound like much, but in the days when bloodletting was the typical treatment for sickness, any infection could (and typically was) fatal. Although when you think about it, the bleeding probably did the job all by itself. 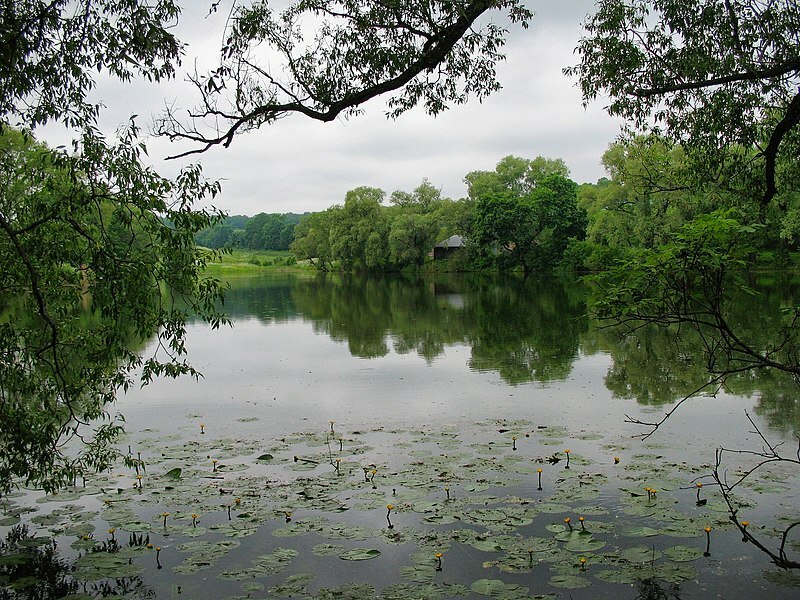 Quiescent (kwee-ES-uh nt) – the state of being quiet, still, or at rest. Quid pro quo – Latin. This for that, an equal exchange. A legal term, this expression was made famous by Anthony Hopkins as Hannibal Lecter in the film version of Thomas Harris’ excellent book The Silence of the Lambs. Notice I do not link to the movie; while it was outstanding, I prefer you read the book. If you’re a writer, you can learn a lot from Harris’ prose. 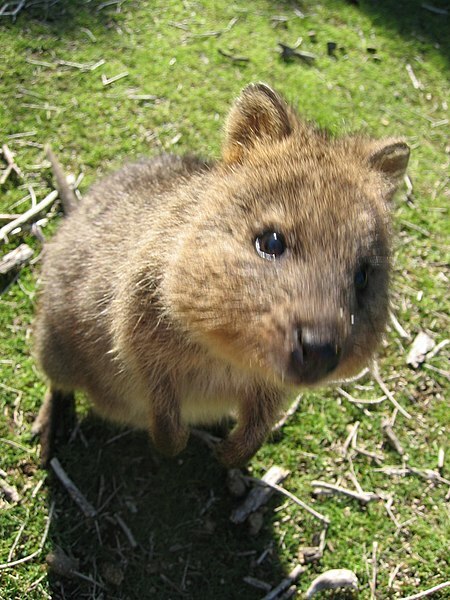 Quokka – a short-tailed marsupial of extraordinary cuteness, found primarily in southwest Australia. Click on its name to learn more about it. I can not has medical research? Yes? Thx. Quorum – the minimum number of members of a group necessary to transact business legally. “How are we supposed to decide this? We need twelve people for a quorum and we don’t have them,” Velma said. “Rike reah!” Scooby agreed, while simultaneously nicking several Scooby Snacks from Shaggy’s back pocket. That’s all the words for today, kids. If you can use any of these in conversation today, I want to hear about it in comments! This entry was posted in Vocabulary and tagged Australia, Beverly Cleary, Wikimedia Commons by A. Elizabeth West. Bookmark the permalink.